Why is feedback important? At a recent World Bank Data Day, Accountability Lab and Feedback Labs advocated for feedback data and why it matters. 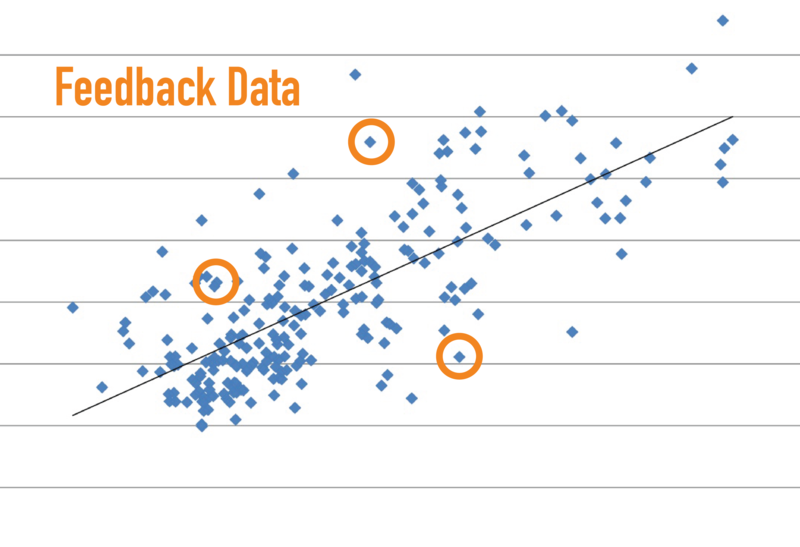 After speaking to Monitoring and Evaluation Specialists, Program Managers, and international development professionals about the importance of feedback, they realized that it was hard to communicate the value of feedback data to the wider development audience. What is more, they encountered individuals who didn’t know what constituent feedback was. How can we, as feedback champions, share the importance of our work with the wider community? How can we get large organizations to buy into feedback loops and use them in their work? LabStorm attendees grappled with these questions and discovered a few important takeaways. Feedback is not just data, it’s a relationship – and it needs to be marketed that way! One of the main problems with advocating for feedback to a data-centered audience is that feedback data is inherently subjective. Sometimes, feedback tells us about how the programs make beneficiaries feel, rather than telling us about monetary or programmatic outcomes. We believe that information is important to improving program outcomes, but accepting this subjective input from beneficiaries requires a break from scientific mindsets. Nonprofits and INGOs need to see the value of feedback in terms of the relationships it helps to create, rather than the hard data it supplies. The Fund for Shared Insight has done a great job marketing feedback in this way. In their videos about ECHOS and Our House, FSI demonstrates that the best thing about feedback is that it makes beneficiaries feel like valued decision-makers. By empowering beneficiary voices, ECHOS and Our House have fostered committed, respectful relationships between administrators and beneficiaries. Perhaps instead of marketing feedback as a piece of data to help improve programs, we should market it as something that gives data a voice and strengthens relationships. Feedback must be personally beneficial to actors at every level in development work. One of the main roadblocks to feedback implementation is that it’s often seen as an additional hassle, rather than an intrinsic part of the work. There is very little incentive to take risks on feedback at all levels in organizations. Setting up a feedback loop is a big commitment and it may not show dividends in the short term. Officials may collect feedback but then be unable to meaningfully address it right away, which would lead them to see the project as a waste of time or resources. The feedback community must create a culture that supports learning, so that organizations are encouraged to take the feedback risk. Additionally, we must cheer on individuals who prioritize feedback, even if their efforts don’t always go as planned. One way to do this is through rewarding attempts rather than just successes. Feedback cannot be seen as a burden. Feedback in the development community risks becoming a compliance burden. If, for example, organizations were required to prove their use of feedback in grant applications, they may implement feedback loops just to check a box. Our goal as the feedback community is not to create a bureaucratic burden, but influence a change in mindset and organizational culture that puts constituents at the center. One way to incentivize feedback outside of grant applications and certification is to change nonprofit culture. This is most easily achieved through champions that serve as ambassadors for feedback within their own organization. These champions might be M&E specialists who are already committed to adaptive management, and can see feedback as congruent with their work. It’s easy to get swept up in our feedback community, and this LabStorm reminded us that in order to advocate for the value of feedback to new audiences, we must consider how feedback is personally valuable to them. Do you have any experience with explaining new concepts to skeptical audiences? Please share your expertise in the comments below, or by emailing [email protected]rg.